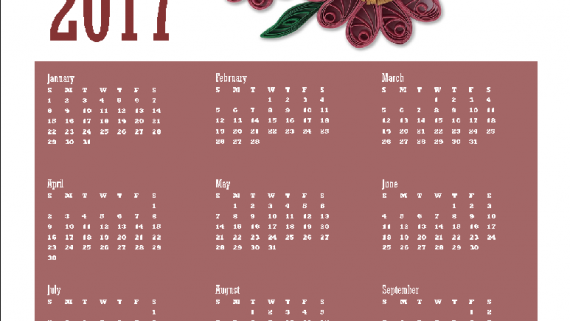 The first 1000 eligible participants will receive one printable calendar each. 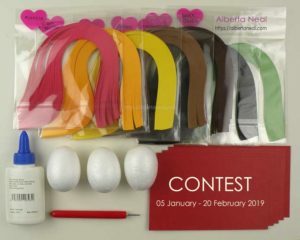 People all over the world are invited to participate and the contest is addressed to those who like quilling, origami, kirigami, adult coloring or other type of paper-crafts. The prize is on the principle first come first served: the first 1000 eligible participants will receive one printable calendar each. Organizer of the contest and product behind it is Alberta Neal. All rights are reserved to Alberta Neal. Prints are noncommercial. Award date: each weekend will be submitted an email with the prize to eligible participants. Please enter only email addresses that can receive up to 10 MB folders. in the below comment section, mention at least one word that inspire you to craft or a word that put your life in motion. 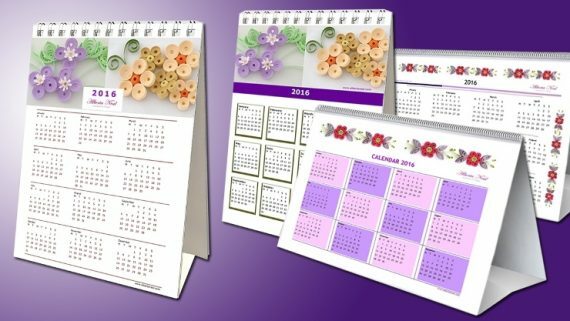 Prizes: printable 2019 calendar with quilling theme (pdf format). Words that inspire the author Alberta Neal: elegant, harmonious, ornamental, visionary, authentic, dream, captivating, emotion. Words that put Alberta Neal’s life in motion: spontaneous, productive, adventure, fun. Alberta Neal is book author with quilling theme, inspired from everyday life of Bucharest. 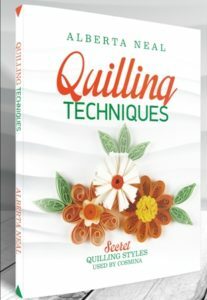 She has published two books in the Series Learn Quilling, the first one is Quilling Basics, which is addressed to beginners, and continue with Quilling Techniques, in which the mysteries of the paper rolling are revealed with joy to the intermediates one where they find details about most used techniques in quilling. The books has a fiction element, where the readers will discover the story Cosmina, a young and curious girl that is eager to learn the secrets of paper quilling. The books are available for download in kindle and epub format. Now, Alberta Neal is working for the third book is which the readers will find more party elements and new adventures of Cosmina. Book discount for Quilling Techniques between 16 August – 20 September 2018. Only on Amazon and Kobo for US, CAD, AUS, IND, UK, EUR. If you don’t want to buy the ebook at discount price, you can find at this link a list with the most common online stores that sell Quilling Techniques. Accept! Go! Live the moment! I am not a pacient person, but if somebody ask me “Are you ready?” my whole body start to concentrate and great ideas are comming to my mind. I like your challenge, Alberta. Thanks! “Adaptable” is the word that make me go forward when I’m stuck.